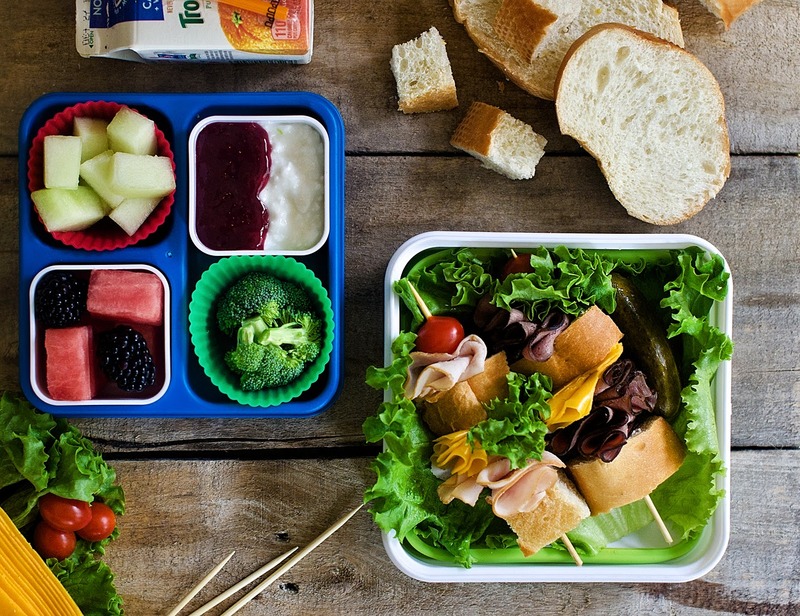 Deciding what to pack for your child’s lunch should be simple, right? But as I’m learning quickly with my preschooler, looks can be deceiving, as they say. Do I pack the beautiful and nutritionally balanced sandwich my kid will never eat, or resign to Lunchables? Ugh, the teachers will think I’m a bad mom for the Lunchables. I can’t think of anything besides turkey and cheese, which she’s had for 7 days straight. Seriously, why the F does every food in the universe contain peanuts? PB&J and a granola bar would be so easy. Curse you, peanut-free school. Pick one from each category on a given day. GYFT Tip: Print out the table and stick on your refrigerator for easy access, or bookmark this page. I’m borrowing a page from the Lunchables playbook and making many of the choices ones kids can assemble themselves, which kids enjoy and decreases the likelihood of sogginess come lunch time. Print this handy guide out and stick it right on your fridge!